The idyllic Spanish town of Seville, known for its beautiful architecture and tasty tapas, is also home to the off-beat performance festival Encuentros Concentrados. 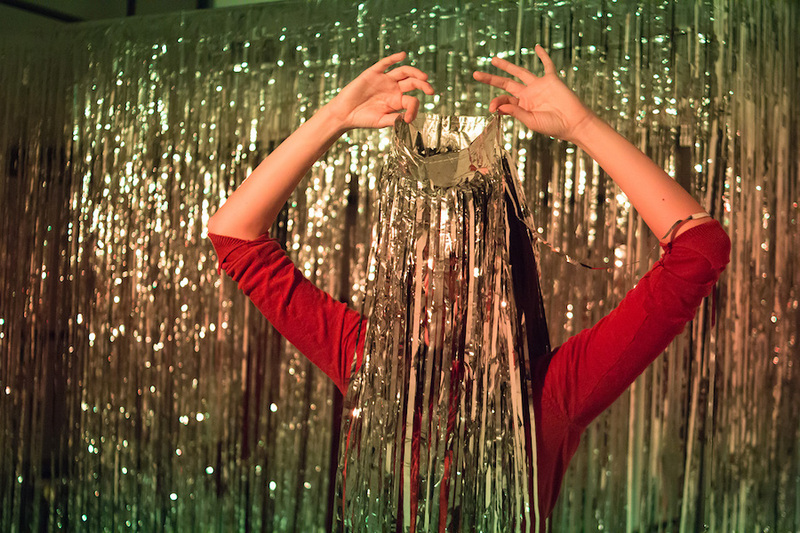 Literally translating to ‘concentrated encounters’, the festival presents a series of short performances in the intimate setting of the Lacajahabitada art hostel. A unique system is put in place to showcase the 12 selected pieces: every evening for four nights, six performances take place simultaneously in the hostel’s various spaces on a half hour loop. Audience members can choose which pieces they wish to see and move between the respective rooms after each performance. 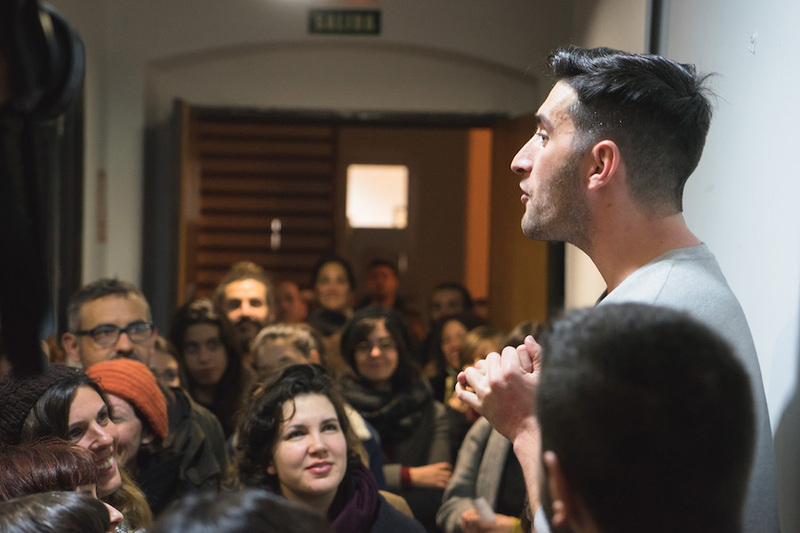 The fifth edition of Encuentros Concentrados, held in January 2017, brought artists from Spain and abroad to the hostel and included a diverse range of contemporary dance, theatre, music and experimental performance art. 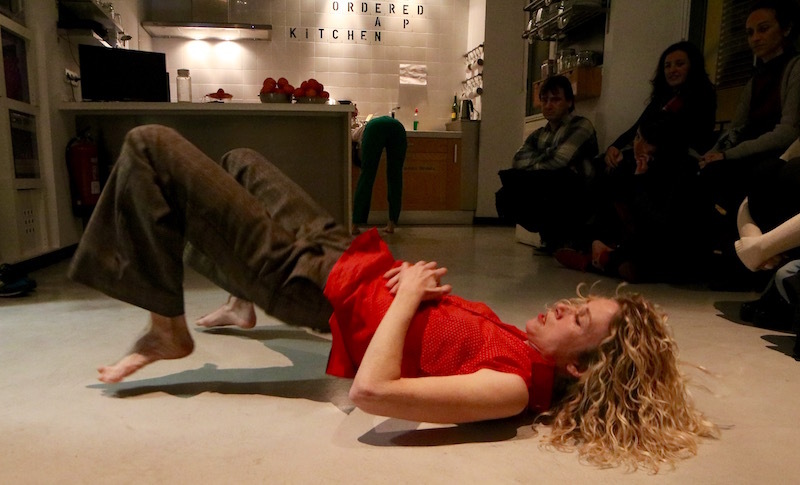 Contemporary dance collective La Casquería—consisting of Anna París and Raquel López—brought a condensed version of their piece ‘Ten Thousand False Thoughts’ to the hostel’s kitchen. The familiar domestic setting was filled with oranges: fruit, which, as the piece progressed, induced both pain and pleasure. The effects of the oranges—as toxic poison and juicy aphrodisiac, alike—were brought to their powerful extremes. Balancing moments of explosive physicality with a comical low-key theatricality, ‘Ten Thousand False Thoughts’ was in itself a titillation of the senses. 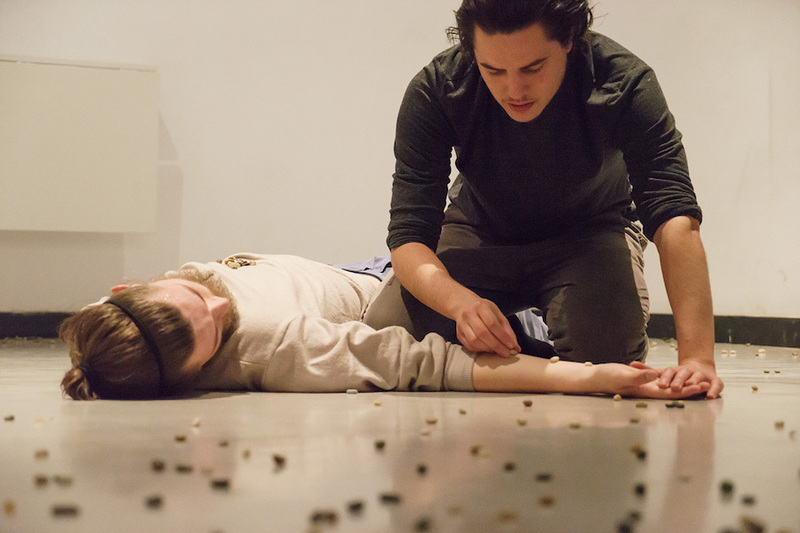 The kitchen was also the setting for Jesús Benzal and Ole Kristian Tangen’s entirely different dance piece, ‘Carretería’. With fervour, they held, followed and knocked one another, captivating the audience in the abstracted narrative of their turbulent relationship. Their highly original movement language, intricate and detailed, brought both compositional depth and emotional tension into the piece. The closing scene was intensified by the throwing of pebbles: a symbolic gesture that completed the rough and raw imaginary they had created. In the more intimate setting of one of the hostel rooms, Annika Havlicek and Ivelice Brown presented ‘It’s Not About You’. A single chair, thoughtfully placed where two walls met, became a point of convergence for the two dancers. Havlicek wriggled herself onto Brown’s lap and into her jumper, becoming the front of a morphed body, which spoke and moved against the confines of the chair. With compelling shadow play and a minimalist aesthetic, the performance was a multi-layered exploration of the absorption of one body into another. The theme of cannibalism was also picked up by a physical theatre piece suitably titled ‘Carnivoros’. 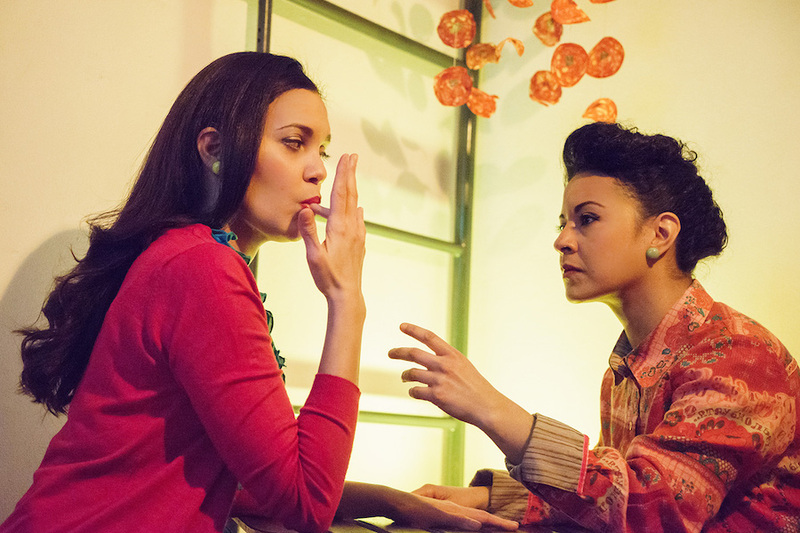 Venezuelan artists Eliana Santander and Vanessa Morr performed a dinner conversation intercut with sensual dancing, comparing an intimate relationship with the act of eating. To devour one another or to nibble, to be nourished or to be unsatisfied: these primitive desires escalated into savagery in the dim lighting of the restaurant setting. Finishing with offering real salami to the audience, ‘Carnivoros’ gave the viewer a taste of just how luscious meat can be. Weird and wonderful duo Silvia Balvín and Alberto Alemenara took over a particularly small room for their piece ‘Necesita Me Jorar’. Long strips of silver tinsel divided the space, creating a glittery cavern housing their instruments. Emerging from their hidden grotto, they took it in turns to move and produce sounds, integrating dance and music in equal measure. With their enigmatic presence and strong performative, ‘Necisita Me Jorar’ was playful, edgy and enticing. The act III MAURY III, brainchild of Berlin-based musician Benjamin Ruby, brought a mystical dimension to the festival. 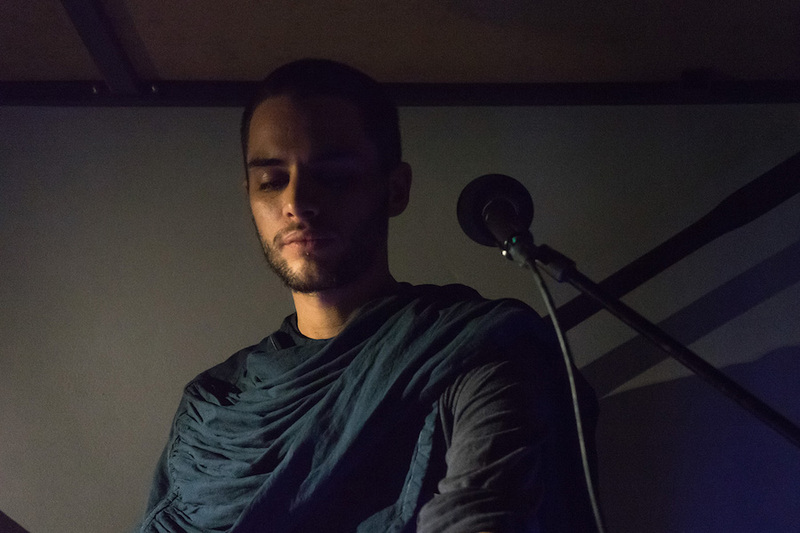 With the live generation and layering of intricate sound loops, III MAURY III navigated through his cosmic world of soulful melodies and bassy vibrations. The undulating intensity of his music was balanced by his graceful performance presence, projecting a state of mind in which imagination and spirituality coalesced. Although his lyrics accentuated intellectual depth and contemplation, the edge to his voice revealed the sharpness of feeling at the core of his creations. 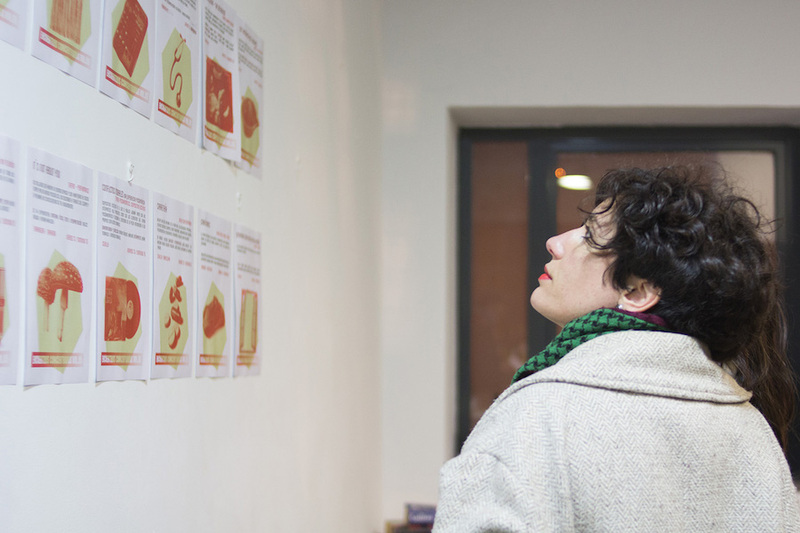 The unique format of Encuentros Concentrados allowed for the public to experience a series of different works in a condensed fashion. With a wide array of high quality pieces to choose from, audience members were introduced to new artists and styles in a mobile, sociable and entertaining manner. With a large audience and a buzzing atmosphere, Encuentros Concentrados succeeded in opening the doors of contemporary performance to all.